First post I’m doing this year. Well, at least on the blog. Hey! How’s everyone doing? Hope you’re all having a wonderful start to this amazing year. Last year was many things to me. It was the hardest yet the one where I achieved many important things. The many challenges I had to deal with made sense days or months later, and for that I’m grateful. As a community, we had so many ups! This was of course after a hack that affected the site more than one could imagine. 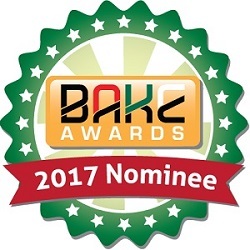 We bounced back with a nomination to the BAKE Awards where we came in second after crazy support from you guys. We also held our first contest ever, yaay! One of our readers will have a chance to go face their fears as they zipline in the forest courtesy of Wachera and Hyrax Safaris. Be on the lookout for even more interesting contests. For this year, my focus will (still) be on some of the least visited destinations across the world, with a special inclination towards Africa. BTW hello from Osun State, Nigeria. I have been wondering how to kick start the Nigerian series. I am almost 2 weeks into the country, and I have incredibly much to share with you guys. It is the most difficult (in every sense of that word) country I have ever had to travel across. It is also a country that has opened me up to a whole new spectrum of realities. People often generalize Africa as a continent – the more ignorant ones as a country. As an African, I have come to see how similar yet different we are. There are so many things I cannot relate to on a personal level here in Nigeria, as is the case with any other African country I have visited. I consider myself to be a Pan African. I do not love the continent because I was born here, I love it because I have lived here and she loved me back. That’s essentially why I am keen on being part of the force that will redeem her on the face of the world. There are many ways to do that: some struggle (the things some people do though) so much for political offices, others create NGOs, others do their own thing without seeking any form of recognition, I travel. Travel is what will save this selfish generation. I keep saying: go out of your comfort zone and see how other people live. Maybe then one will stop holding on to fallacies that are otherwise useless in other lands. Did I tell you Moroccans use Mercedes Benz as cabs 😮. Now you know! That’s just one of the thousands of examples I can give. No one cares what you have, honestly. We are all about experiences, and this is what will bring change to this continent and the world in general. Speaking of greed and selfishness: how greedy do you have to be to sell off your brother? Slavery is one of the world’s darkest part of history. I don’t know how it makes you feel but this is something that breaks me over and over again. Africans are selfish and greedy. It has been that way since the beginning and it keeps flowing from generation to generation. As part of a bigger story, African chiefs received ONE bottle of gin in exchange for 17 slaves. You tell me. A huge chunk of Wachera’s readers are Kenyans. Most of us grew up watching Nigerian movies. What is it you would like us to talk about? The witchcraft? I can do that. Pounded yam and kola nut? I can do that for you too. Just let me know what you’re curious about and I promise to do a post about it to either confirm or deny what we grew up watching. That’s my New Year’s rant and I’m done. I’m excited for 2018, and even more excited that you’re here with me. As always, talk to me anywhere you like: I’m on almost every social media channel and the links are down there. New posts on Nigeria and elsewhere coming up soon. Nice.woukd love to know about the culture.